HTC is back with the next generation of its Surface phones. 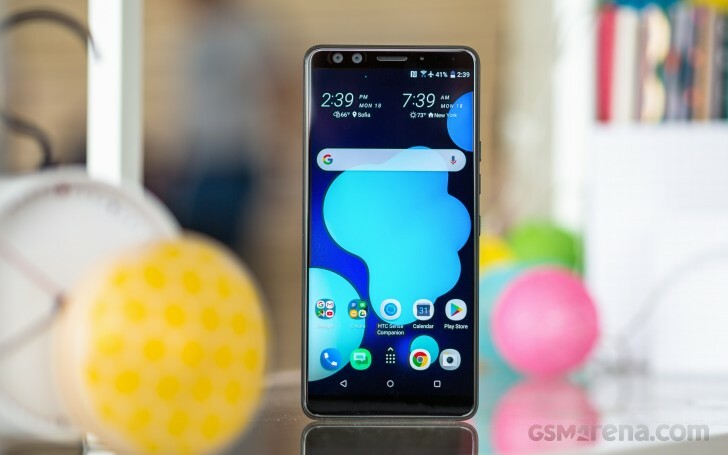 The HTC U12+ is this year’s flagship in the Taiwanese phone maker and it improves on some of the features first introduced from the U11. Edge Sense 2.0 gets fresh gestures and there are double the amount of cameras dual cameras around the front and rear. HTC chose to provide the U12 the”Plus” suffix, though there will not be a non-Plus model. It’s about as large as the latter, but HTC’s Liquid Surface glass appears much nicer by comparison. We are taking a look at a great feature set for the U12+: a high-performing dual camera system, dual cameras at the front (a first for any HTC flagship coming into the States), Edge Sense 2.0, and a brand new LCD 6 display which supports HDR 10. Other features like the noise-canceling USonic earbuds have made a recurrence at the same state as last year. HTC was reluctant to change into 18:9 displays for the U11, but ended up releasing the U11+ late-last year in select markets. Together with the U12, HTC has embraced this new taller display tendency. We are also rather thankful there is not any notch. The U11’s camera was pretty killer, and we hope that the U12+ will probably be better. Of course, that instant camera brings 2X zoom and a suitable portrait style. Also brand new to HTC’s flagship is 60 fps movie at 4K resolution. There is not any super slo-mo like the other men, but there is 240fps slow movement at 1080p resolution. In terms of a battery, there’s a 3,500 mAh one, that is a step up from the U11, but a step down in the U11+. Of course, HTC how has its Edge Sense 2.0 that lets you”squeeze” more functionality, so to speak. We are not totally sold on these just yet, but we will let you know how we really feel about them from the end of this review. Let us take a peek at what’s inside the box. The U12+ comes at a flat box with curved edges and corners. Our Translucent Blue model came in a matte white box with glossy embossed print to compose the phone’s name. The back of the box has a number of the phone’s specifications like internal storage capacity, color, and model information. The retail packaging of the U12+ opens into the handset sitting on the cardboard insert. Beneath this insert are the added accessories together with the U12: a clear shiny plastic case, a cleaning cloth, SIM instrument, Quick Charge 3.0 adapter, USB cable, and USonic earbuds. In case you’re in the United States, you will not be receiving a 3.5millimeter headphone jack into USB-C adapter.